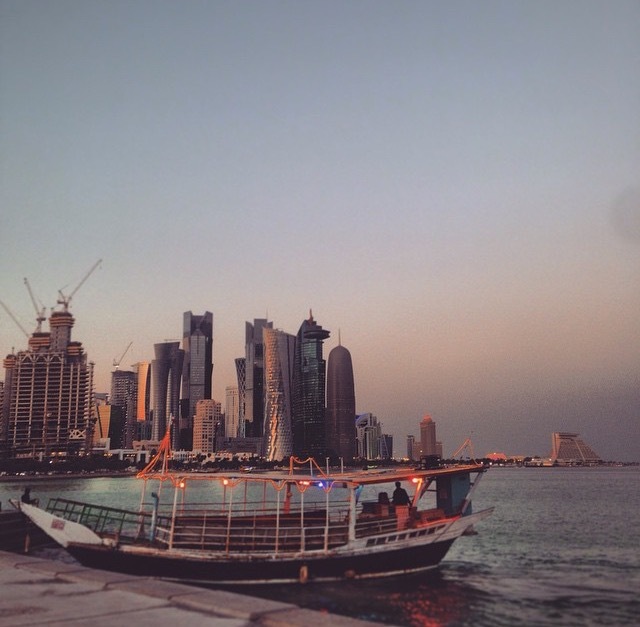 My Doha story dates back to the dark and dusty ages of 2005. If any of you know me or one of my kind then I bet you’ve heard this story before. I’ll spare you your time and skip right to the end of it. And so ….as the aircraft slowed down to touch the earth all I saw was sand, sand, sand and then some more sand it was right then that I thought to myself …. Just what have you gotten yourself into? 10 years on as I look back to what this city has given me I can only think of the great times and how my life has taken on a whole new meaning since the day I first set foot. Its given me friends that are more like family. A family that is multi racial, linguistic and diverse in every way expanding from the sandy gold coasts of Australia to the tropics of Brazil. We all look different, go around doing things differently and yet aim to have the same small pleasures of life. I’ve learnt life lessons of being respectful, tolerant, patient and mostly empathetic to all. Thanks to these wonderful people I’ve met, I now understand or follow a few languages that otherwise would’ve always sounded like gibberish. Better so I can even pronounce words I’ve probably never ever seen before. Another fun fact I found out in my early days of moving to Doha was that a good pasta sauce certainly does not include chilly powder and that no food should be tampered with by adding unnecessary spice. * Important notice to all Indians 😛 My vibrant expat oriented Doha has helped me develop my palate and build a strong love for all things food. This city helps me satisfy anyone of my cuisine craving by driving only a few kilo meters within the city. Even better, if and when in an experimental cooking mode I always manage to find ingredients which would otherwise be totally exotic back home and terribly hard to find. 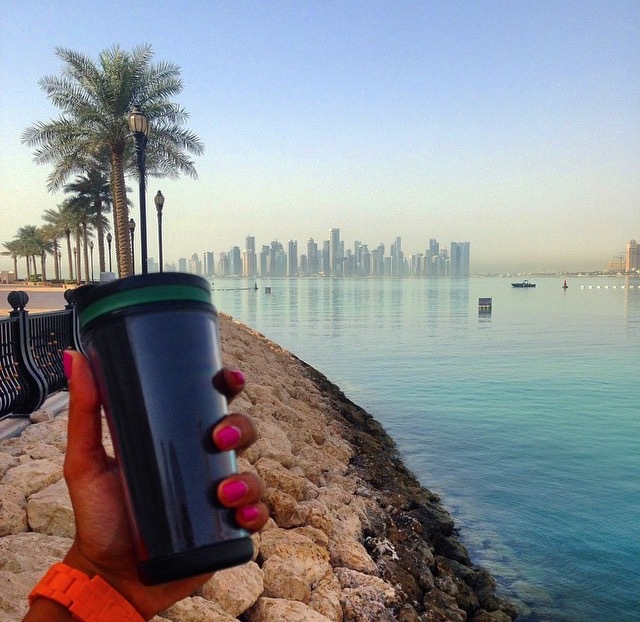 Doha continues to fuel my ambitions for travel and has given me the opportunity to travel to 6 continents, 56 countries and 80 cities to be precise. A dream I once lived for wouldn’t have ever been possible if I hadn’t moved to this city. I’ve learnt to welcome new experiences and appreciate tradition and culture. A quick drive away from this ever so rapidly growing city and I find myself in touch with my nomad self. Barbequing in the dunes, spotting camels and sleeping in a tent. The adventures go on…. It is for all these wonderful reasons that I’ll forever be thankful to this strangely metropolitan and yet village like city called Doha. Loved reading it. This was such a fab post! While the rest of the world prefers a pasta sauce with no hint of sweetness in it, I kinda miss the Filipino’s version of a spaghetti sauce – sweet and savory. :p I’ve never had a taste of spiced pasta sauce though, I’m intrigued. Please tell me you’re going to link up next month? I was late with it and had some trouble linking it up last night before the deadline. The link took me plugins and then asked me to upgrade my blog. I was brain dead and gave up. Will definitely fig out the bug by the next link up.